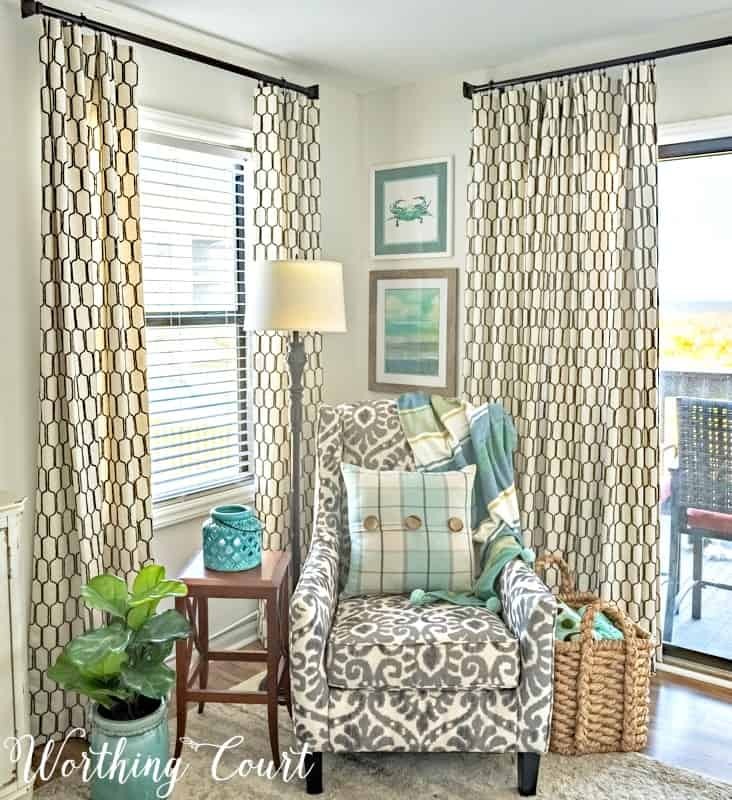 You can easily mimic the look of pleated drapes without the difficulty of making them. Flat drapery panels look very similar to pleated drapes when opened. 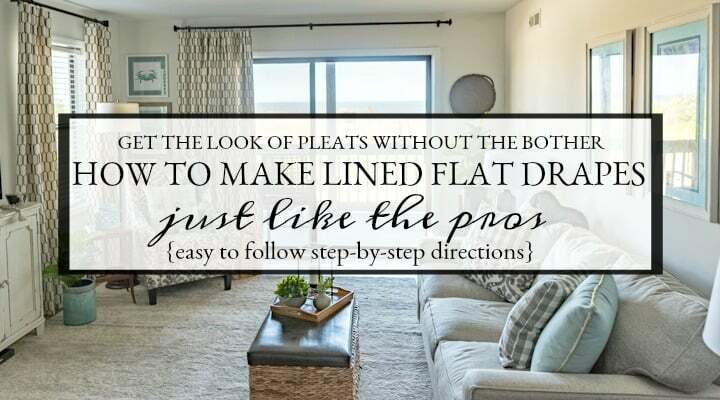 Learn how to make lined, flat drapes using the same methods that the professionals do. 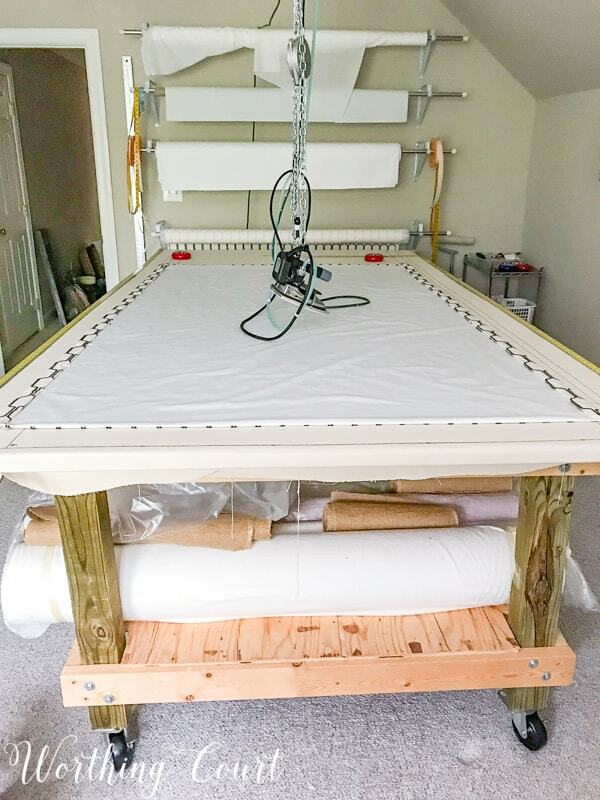 Welcome to Part II of how to make lined, flat panel draperies using the same techniques as professional drapery workrooms do! In case you missed Part I, you can read it by clicking HERE. When we finished with Part I, we had both our main drapery fabric and the lining fabric cut and hemmed. Only a few more steps and you’ll be finished! Affiliate links have been used which means I make a small commission on your purchase, but at no additional cost to you. See my full disclosure HERE. It’s important how you lay your fabric pieces out when preparing to join the front of the panel and the lining together. 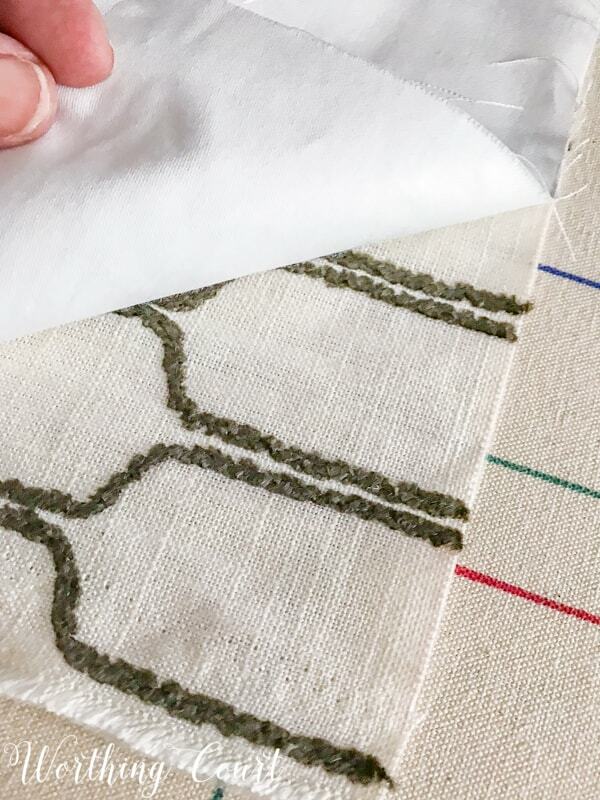 You want to make sure that when the pieces are sewn together and turned, you wind up with the back side of the lining facing the back side of the drapery panel. 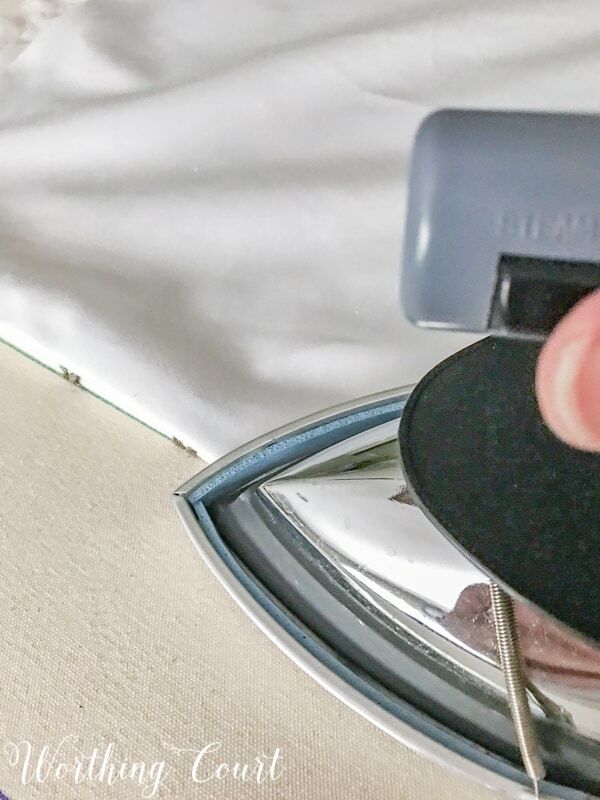 To join them – lay out the drapery and lining fabric on your work surface with right sides together. Make sure that the edges of the top are lined up evenly. TIP: The lining will likely be a little narrower than the drapery fabric, so be sure to center the lining. Don’t worry – the side hems will capture the narrower drapery lining. 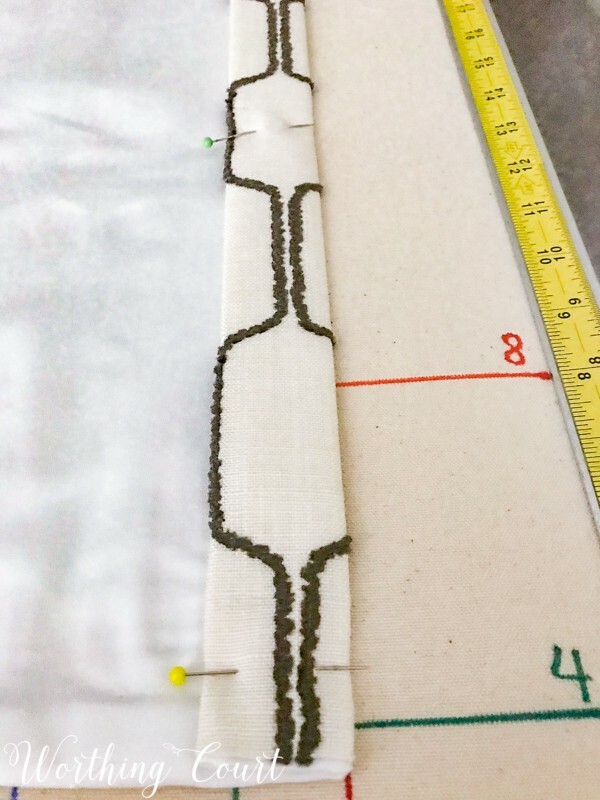 Pin the lined up fabrics together and sew with a straight stitch, using a 1″ seam allowance. Open the joined pieces of fabric up and press the seam open. TIP: Make sure the fabric in the seam is all lying in the same direction before pressing. Now, flip the fabrics over, so that the wrong side of the lining and wrong side of the drapery fabric is facing one another. Press the seam closed, making sure to keep the seam straight as you do so. 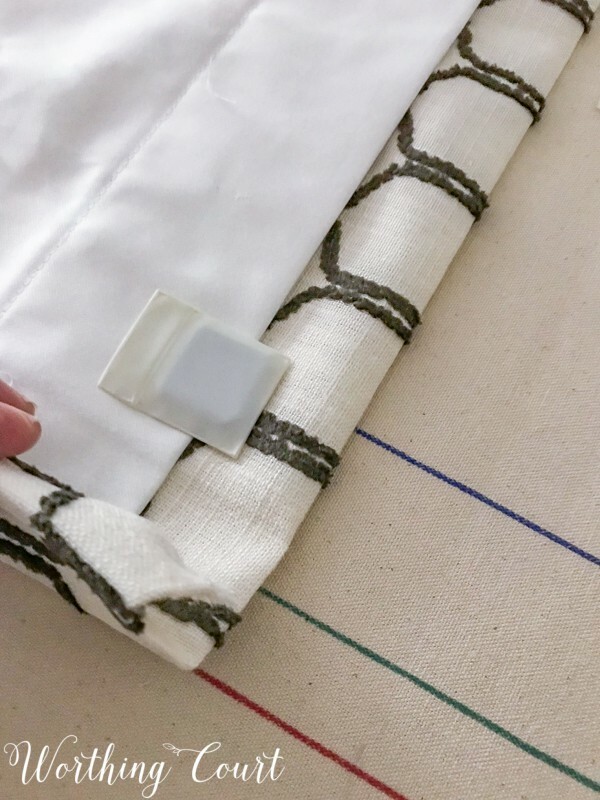 Place the joined fabrics together on your work surface, with the right side of the drapery fabric face down (the right side of the lining will be face up). Smooth both fabrics out so that there are no wrinkles in either layer and that the joined fabrics are lying straight and even. If the edge of the fabric has a selvage, you need to cut a clip into it every few inches. This is important or it could cause your drapery panel to draw up on the side where the selvage is located. Ideally, I would cut the selvage completely off, but be aware that doing that will slightly impact the finished width of the panel. Professionally made draperies typically have double 1½” side hems. 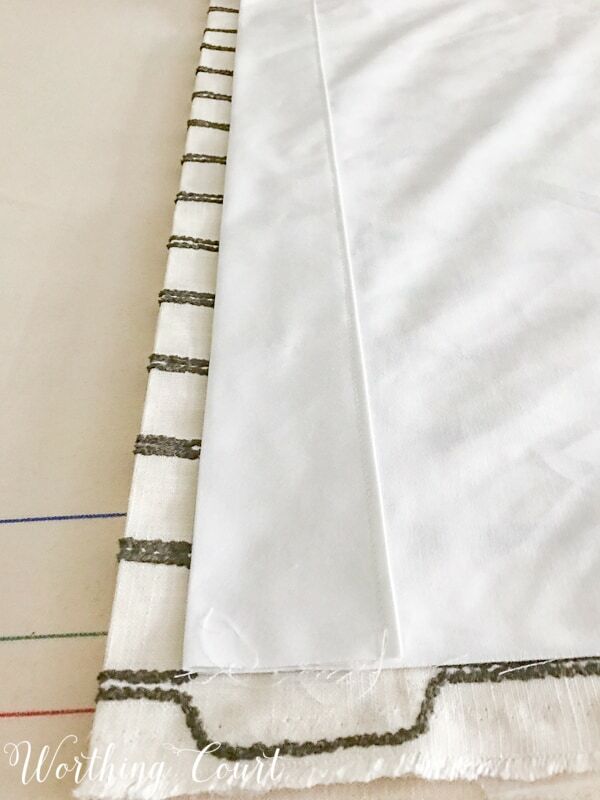 Keeping the drapery and the lining fabrics together, fold each side of the panel in 3″, all the way from the top to the bottom (including the hem). Press into place. Now fold the fabric in half and press into place. 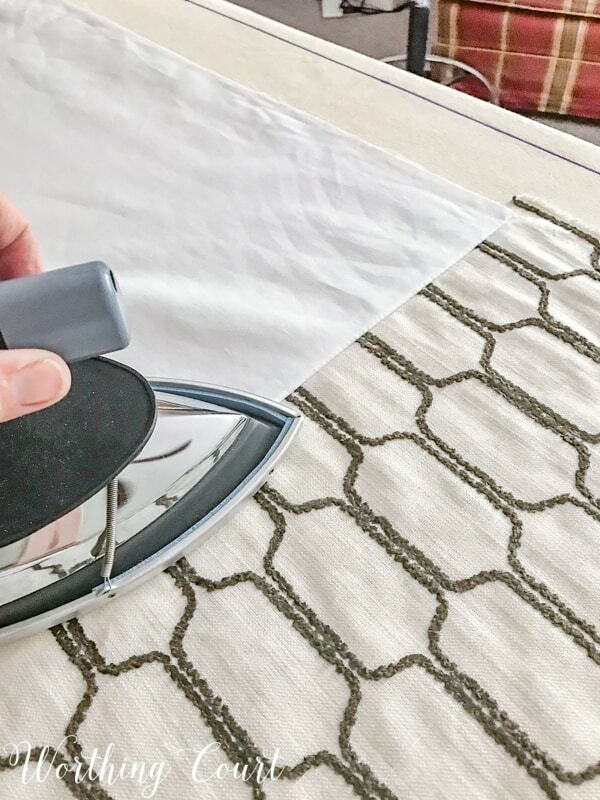 TIP: Pay attention to the pattern in your drapery fabric. You may need to slightly shift the fold for the side hem so that the pattern remains evenly exposed on the front side. 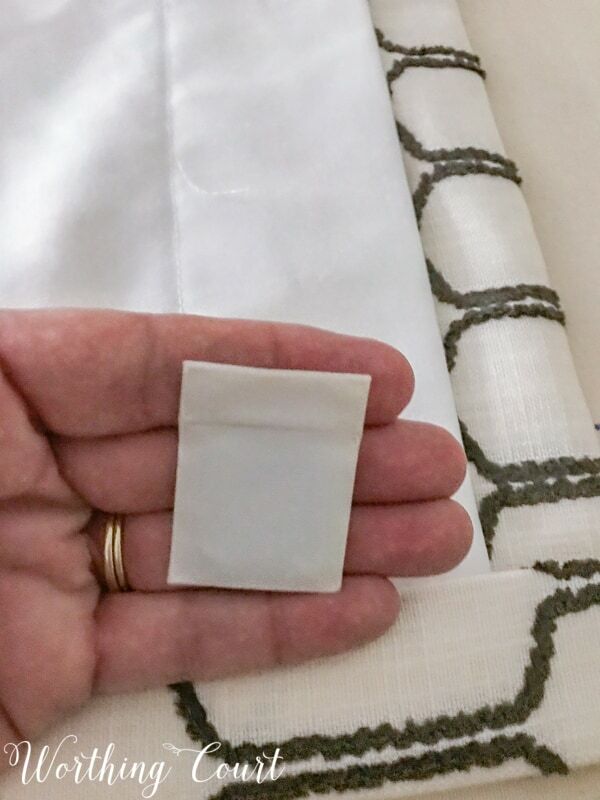 No one will notice if you don’t have an exact 1½” side hem on the back of your panel, but they will notice if the pattern on the front isn’t even from the top to the bottom of the panel. 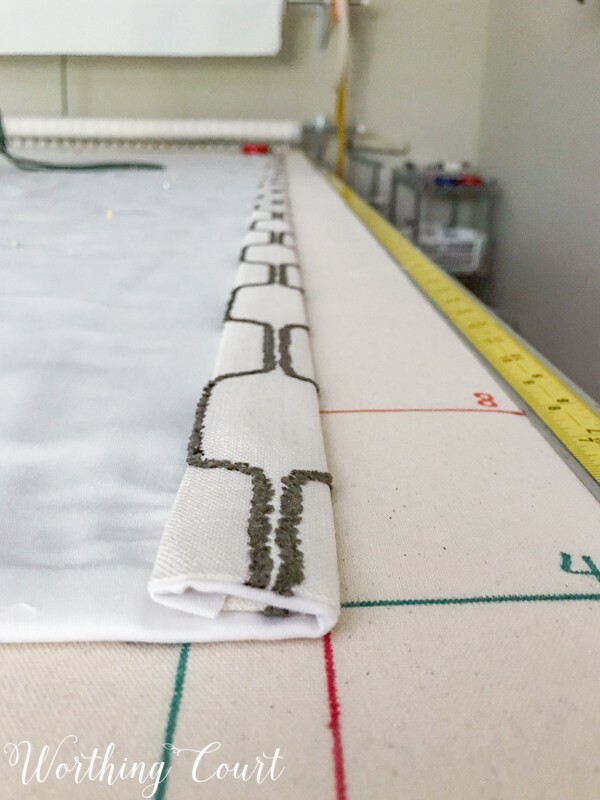 To avoid fly away drapes and to make your panels hang nicely, be sure to add a drapery weight to each corner of the panel before stitching the side hems in place. I like to open up the folded layers of the side and tuck a weight into each corner. The weight is held in place once the side seam is stitched. With the drapery weight inserted, press that area of the side hem again and pin. The side hems are another place where you do not want to see stitches on the front side of the panel. 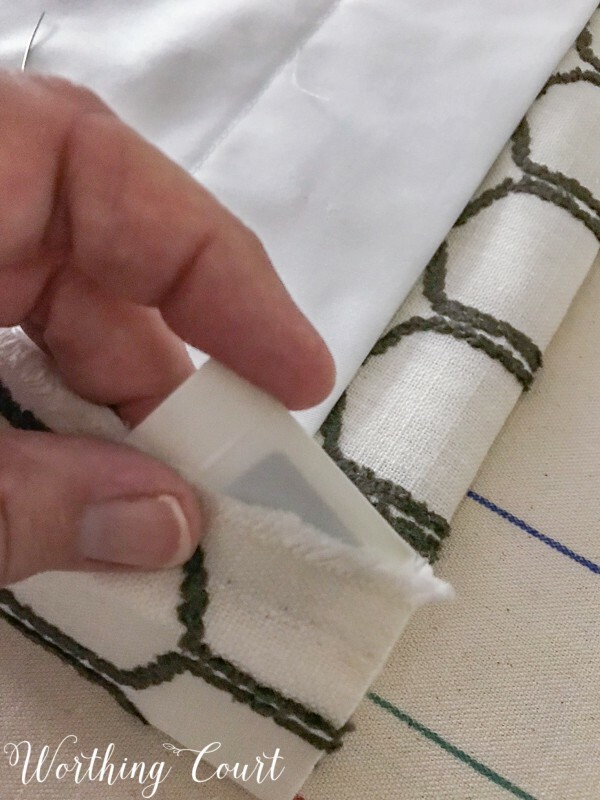 Stitch them into place by hand using a slip stitch or one of these methods or by using the blind stitch attachment or blind hem foot on your sewing machine. Here’s a look at the finished panel, after the addition of the side seams, lying on my work table. 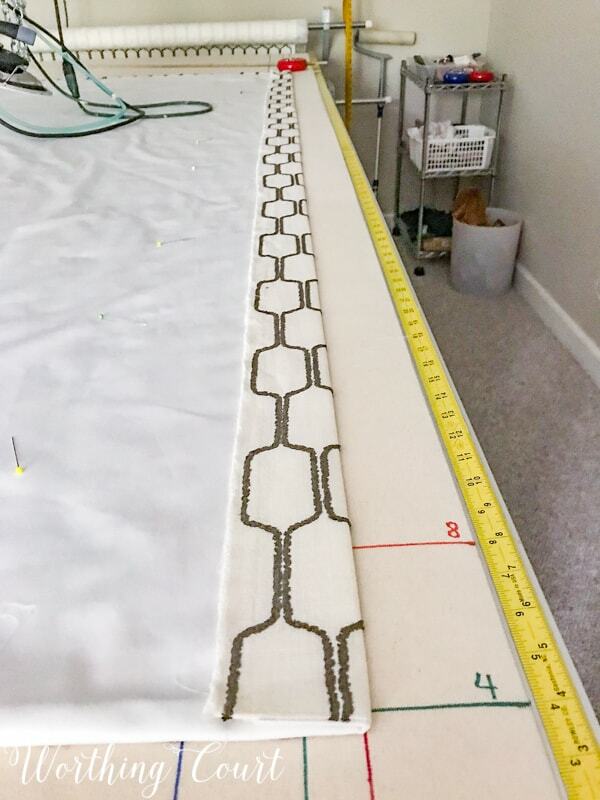 Pat yourself on the back because you’ve just completed making a drapery panel exactly like you would have paid someone hundreds of dollars to do! You have the option of hanging your flat panel drapes from sew-on or clip-on drapery rings. Don’t you agree that they mimic the look of pleated draperies? 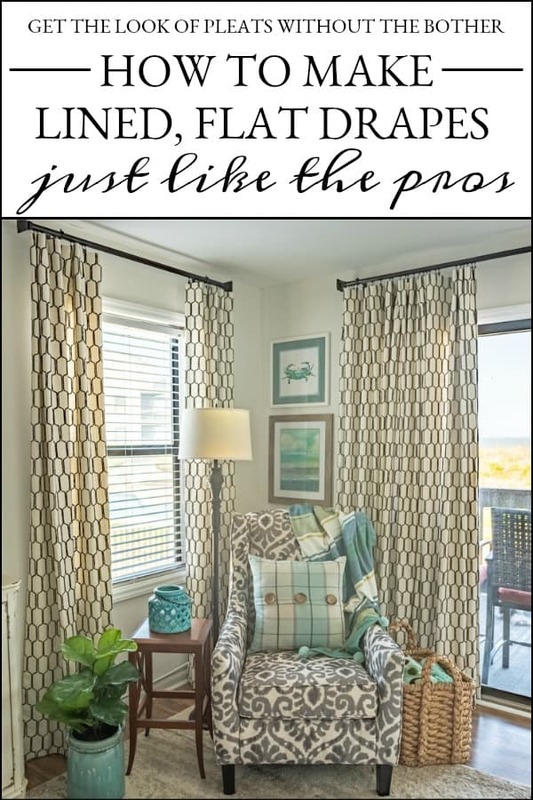 « How To Make Lined, Flat Drapes Just Like The Pros Do: Part I – It’s Easy! Thank you for this wonderful tutorial! I’ve never attempted to make drapery panels but I know I can do it if I follow your steps. To the lining? It’s very hard to tell. Also it appears the selvage was left on the fabric. How do you determine when to remove it?? Hi Marcy. I actually used an industrial blind hem machine on the side seams. I didn’t mention that here since I’m guessing that not too many people own one of those. 😀 But, to answer your question, yes, you need to pick up a part of the front of the draperies to secure it to the lining. As you probably know, the selvage is usually woven tighter than the rest of the fabric, which would draw up the sides of the curtain. I always either clip the selvage every few inches or remove it entirely. Thank you for a tutorial that someone like me who is challenged sewing anything is excited to give it a go!! Kiddos!!! I’ve been making ALL our drapery for over 50 years and am glad to know I’ve been doing it right! It’s “sew” easy and much less expensive than custom made. Bless you for sharing your knowledge. This tutorial is perfect. Makes it so easy! Pinning again! Thank you, very detailed directions. 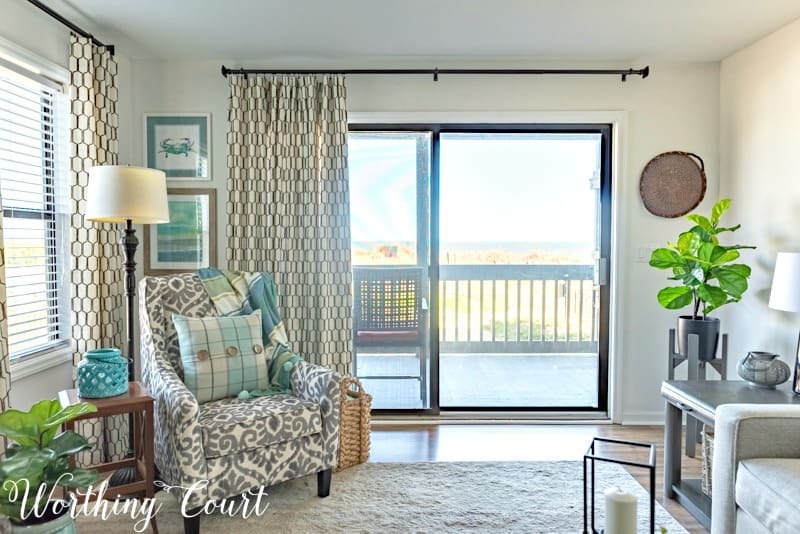 Great inspiration for me to replace drapes on four windows in my family room…long overdue and I am a bit rusty on my sewing! Love the tutorial, thank you! One question: do you ever sew the panels together at the bottom? Hi JaNean. Are you asking if I ever sew the lining to the drapery panel at the bottom? 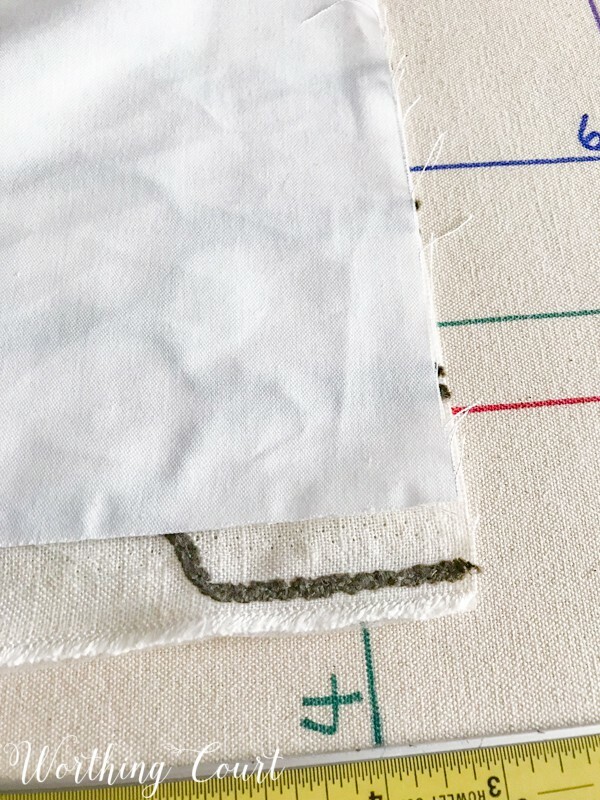 If so, the answer is no – the lining should not be attached at the bottom. Let me know if you meant something else though! Thats exactly what I meant, thank you so much! If you want to use drapery pins instead of clips, should you sew crinoline between the lining and fabric. If so, how many inches down from the top?